Storm announce Winter Classic 2017! 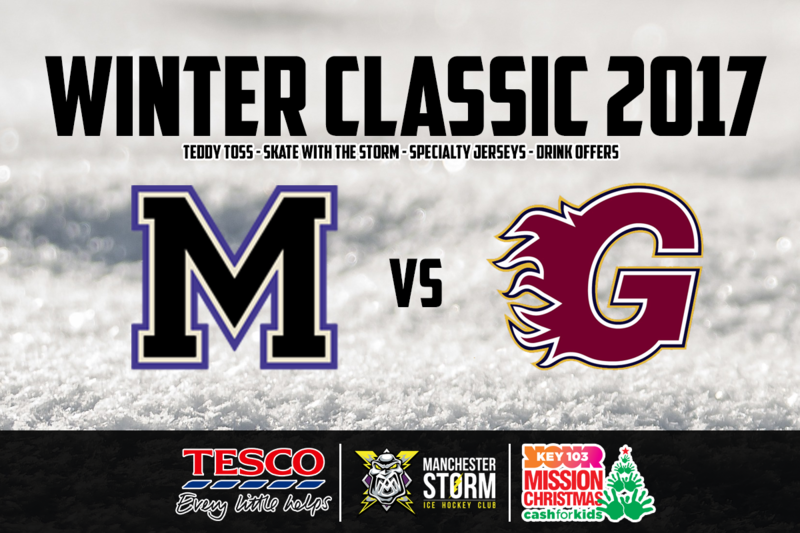 Your Go Goodwins Manchester Storm are delighted to announce that the home game against the Guildford Flames on Friday the 22nd of December, will be our “Winter Classic” themed night, in partnership with our sponsors Tesco and Key103! 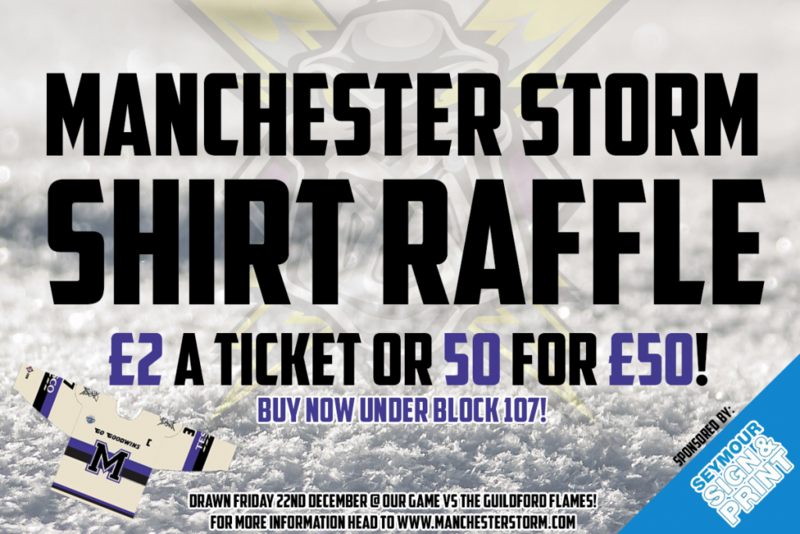 The night will see the return of the #TeddyBearToss, which is where we ask YOU, the fantastic Storm fans, to launch a teddy bear onto the ice immediately following the Storms first goal, with all the donated teddy bears being given to Key103’s #MissionChristmas – helping to ensure every child in Manchester wakes up to a present on Christmas morning! Not only this, but the Storm will take to the ice in a #LimitedEdition fauxback jersey, inspired by the 1930’s Manchester Rapids IHC. 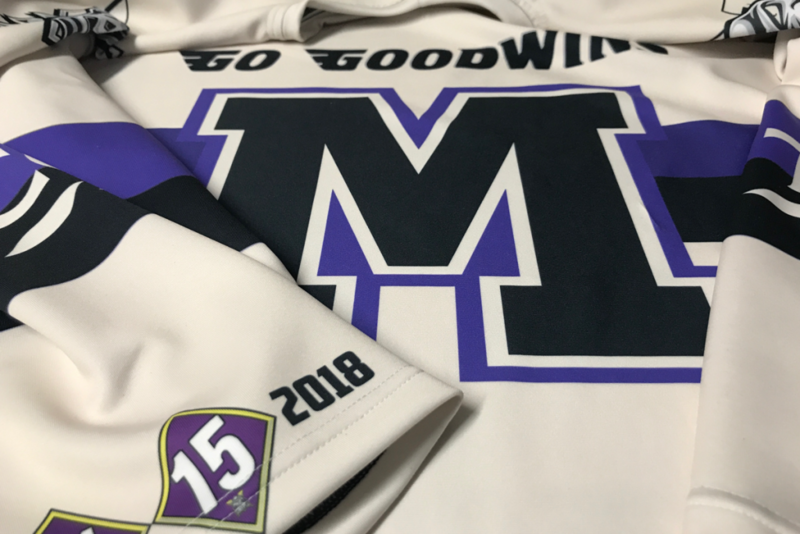 With a vintage white base, the jersey replaces the normal Storm logo on the front of the jersey with an M for Manchester, which adorned the jerseys of the Rapids. 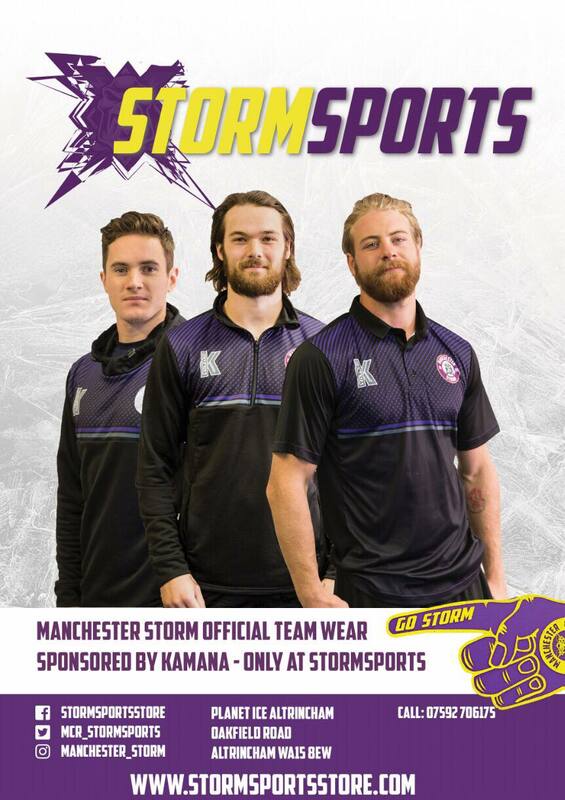 All of the team’s jerseys will be raffled off on the evening, a first for the team, with tickets going on sale from TONIGHTS game and at every Storm home game until the 22nd, from under Block107, and from the Storm Sports Store on non-game days. Tickets cost £2 each or fans can buy a book of 50 tickets for £50. To make the night even better, Skate with the Storm will also return, with the players coming onto the ice for photos and to sign autographs. The post-game skating with the players + skate hire is included in your ticket for the evening! Planet Ice Altrincham have also confirmed that Jacks Bar will be running their popular £10 pitcher deal for the evening, and that there will be a live band playing until closing – which will be extended until 1 am! Tickets for the game are already on sale, and we’re expecting a SELLOUT – so don’t miss out, buy your ticket NOW either online or from the box office at tonight’s game! REPORT: Storm pick up point against the reigning EIHL champions!